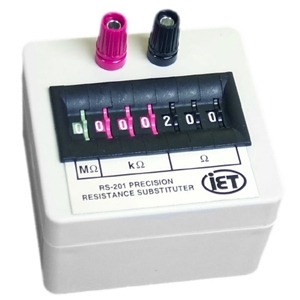 The RS Resistance Substitution Box is the most commonly used decade box on the market today. The RS Series Resistance Substitution Box is not only easier to use, but it is also priced lower than all of its competition. The RS Series resistance substitution box are an economical, indispensable collection of tools with a variety of uses in engineering, design, troubleshooting or service fields.